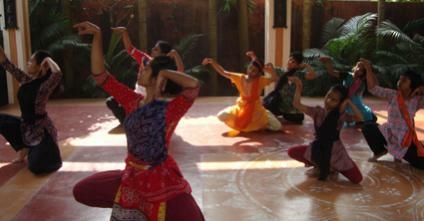 Prarambhik –(Prior to beginning) is a six-month module that offers elementary training in the chosen dance form. And simple Pada Sadhana (feet work) on Basic Rhythm. 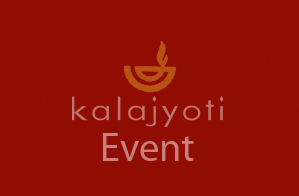 ADYA- (Beginning), the second stage aims at gathering the harmonical concept of Sangeet, and further progress towards Grammatical movements. More body fitness excersices. MADHYA –(Midway) the third stage aims at establishing proper style of Odissi , grasping the Sculptural Bhangis with demonstration in proper angles, Chauk and Tribhangi.Combination of Mudra, Anga Sanchalan and Pada Kriya with grammatical precision. PURNA–(Completion of the First Stage) learning and making an effort to grasp the finer aspects of the chosen dance form by combining Sanskrit Chants and rhythmic Composition of Mangalacharan with authentic Hasta Mudra, Pada Kriya, Abhinaya and Angasanchalan. After completion of these stages a student is allowed to appear for the first board examination for Odissi Dance. ARPAN (Complete Dedication) Course of 6 Years till they are adjudged as a complete performer, sensitive with deep knowledge of Sangeet. Apart from the allotted training time, the students are allowed to make Sadhana in Kalamandap , take help of Guru, avail library for enhancement of knowledge. Here the students are promoted according to their individual talents, after every 6 months the Guru and Faculty Members asses the student on their sincerity, dedication, grasping capacity and interest . They are counselled individually if required. They avail weekly sessions of Yoga, Music, Rhythm, etc. They are encouraged to devote more time for individual 'riyaz' and introspection. The students undergo rigorous training of increasing stamina as a performer, gain perfection in rhythm, style, aesthetics, understand the devotional connection of Odissi and Indian Traditional performing arts as a whole. With truthful submission inthis phase, the students though systematic and focused training eventually evolve as promising performers. In this stage students are given liberty to diversify according to their own chosen desire. They are promoted for Government and private Competitions and solo performances, Given Teachers’ Training to be professionals, povided language and stage presentation training, Self Grooming, Promoted for foreign performances, Given training on stage dressing and make up, Choreography, make facility and higher study under professor for research, etc. Examination under recognized Examination Centre is conducted every year which includes written and practical assessments, assessment of dissertations, case-studies or performance projects as assigned to the students or as individually undertaken by them and assessment of solo performances by senior students.